Popular success often equates with critical disdain, and vice versa: it was long fashionable in critical circles to frown on Andrew Lloyd Webber, the most popular theatre composer that Britain has ever produced, yet vigorously applaud the far less commercially successful Stephen Sondheim. Similarly, it’s long been easy to sneer at The Mousetrap, the longest running play – by a long chalk – in West End history, simply for reasons of its longevity. Last week, I made a return visit to The Mousetrap for the first time in years. And not only was I very pleasantly surprised to see nearly a full house watching it, but also being entirely rapt. Probably unfairly, I’d expected it to be a bit like a creaky rep production in Weston-super-Mare, playing to two men and a dog; but actually it is very robustly acted by a cast that includes a recent RADA graduate in his first West End job, and now directed by actor-turned-director Hugh Ross to make it feel not stodgy but fresh. The play certainly respects its period setting, but it would be all but impossible to contemporise; everyone would be online and on their mobiles before you could shake a stick when the outside line goes down – and find out that not everyone is who they say they are. But the acting feels modern and believable. Christie’s command of craft and rising tension is impeccable. It truly earns its place in the West End and its ongoing occupation of the gorgeously old-fashioned, wood-panelled St Martin’s Theatre – my only sadness is that I will rarely see inside it again. 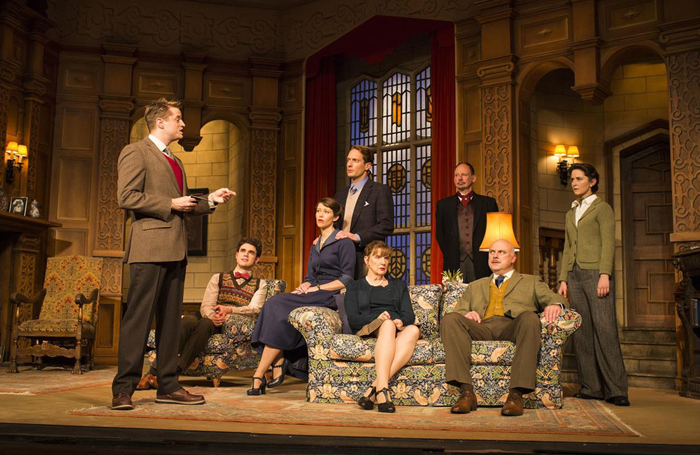 So, it’s time to stop being snobbish about The Mousetrap: it may not be the best British theatre has to offer, but for tourists wanting to sample an institution, it’s a very credible entry point. Follies was very warmly received by critics and audiences alike, but it has never been a show for a mass audience, so perhaps critics were able to give it a pass. They’ve similarly embraced the most popular musical of the century so far: with Hamilton generating the sort of buzz it has, they could hardly not without seeming hideously out of step and time. These are depressingly shallow views. But they reflect the deliberately oppositional positions of their writers. And in being supposedly anti-elitist, they replace it with the most elitist kind of criticism there is: scorn for a show just because it is popular. Richard Jordan: Must a West End musical run for 15 years to be deemed a success?